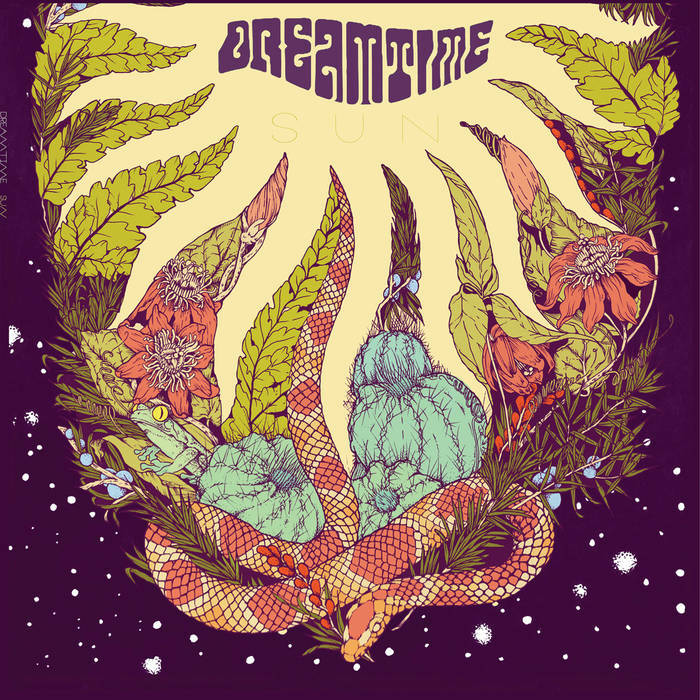 Here we behold another down under offering by Australia's new Psych giants - Dreamtime. The Brisbane Psych Prog 4 piece unit brings us their 11-track third album - Strange Pleasures. Which incidentally, may potentially reshape the genre by bringing otherworldly ear pleasing entities to the table. 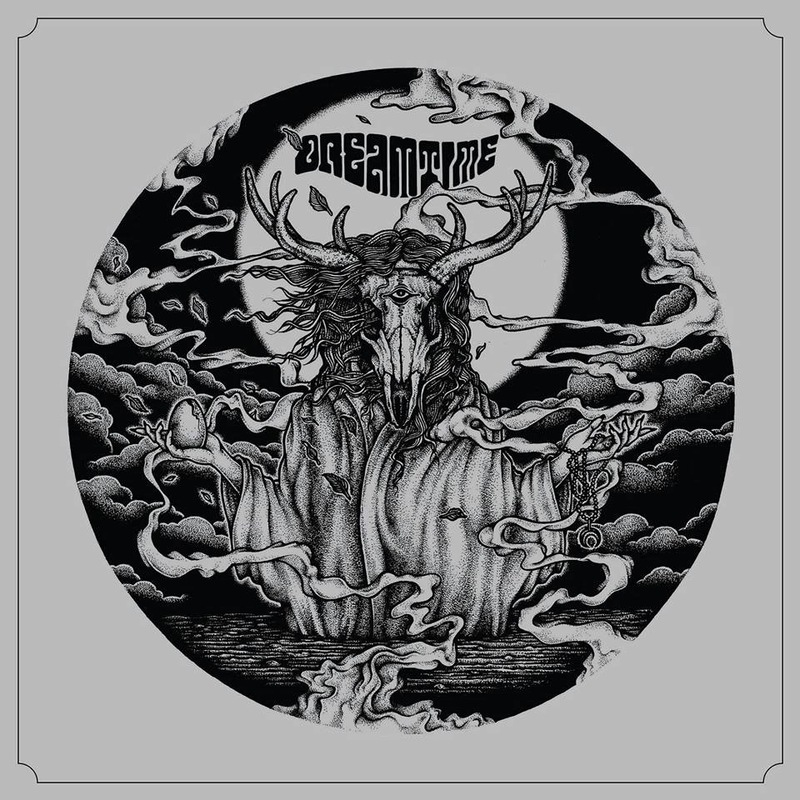 It is refreshing that as many artists shoot in straight to the standard digital recording format, Dreamtime have recorded this album over two days with Darek Mudge involving full vintage analog indulgence. The opening landscape on 'Luminous Night' is quite substantially 70s prog/classic rock, imagine if you will, Santana fronted by Bananarama. Plenty of locked in jungle groove Bass/drums in a soca style thrust, which gets all wah-wah grooving and some icy synths at the end. The moody bass, shakers, sporadic synths creeping in and around on 'Golden Altar' and slow building drum pattern, is made more mysterious by the female sweeping lines in the background. This all builds up really fast, add some spaced out vocal mumblings, then slows up again then thrashes into a post-rock screamer with some Richie Blackmore soloing. As if by magic there is a real presence of the Progressive Rock era of old released within 'River Sprites', shared male/female vocal duties over some swinging bass/drums and modern familiar guitar lines. Whilst there is amongst this a hypnotic melodic loop that pulls you in further with each bar. There is a close resemblance to the Canadian band The Tea Party on 'Fire', with guitar-led middle eastern atmospherics and percussive drive, the silky vocals loom over the surface, and lock in well on certain parts, building up to a breathtaking crescendo. The weaving inter-dimensional waves on 'Ascension' do literally envelope you in it's droning pulse, whilst on 'The Sentient' has an impending doom factor coming across. It has a layered U2 meets Black Sabbath fuzzed-out sonic wall, with what could further be Depeche Mode and Daft Punk helping out vocally. The album title track 'Strange Pleasures' and later song' Spectral Entropy' is a trippy laid back bass/drum groove with multifaceted guitar tones and effects forming a deep and pungent delivery. There are nicely placed phased guitars and ghostly moans over an offbeat groove on 'Celestial Spores', which later introduces extra-terrestrial sizzling synth chords and delayed signal sounds to round off the track. The slurping slithers and creeping pulse on 'Gamma Globulin' could easily be part of an alien abduction film soundtrack. The initial screaming vocals on stoner finale theme 'Serpent's Tongue', has a dark B-52s quirkiness and hypnotic repetitive motif that embeds suitable soundtrack for some conspiracy theories of the world being infiltrated by reptilian beings. Strange Pleasures possesses a mixed essence pot of mystery, exploration and scattered doses of spontaneity. The strong blend of classic ingredients within a modern setting makes for a heady soup to consume. It is this recipe which makes Dreamtime a tasty morsel to enjoy. Funny thing is, they have virtually no profile here as best I can ascertain.